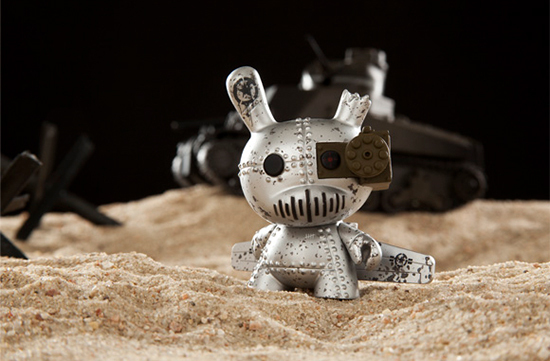 Dunny Art of War series release! 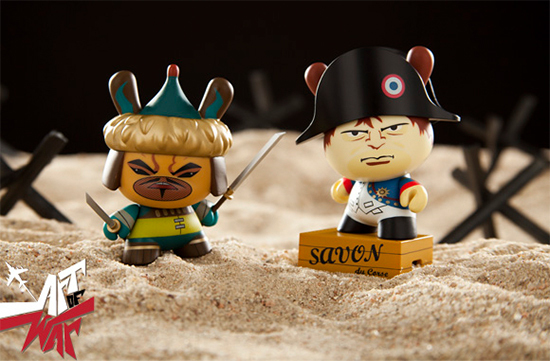 Dunnys have unearthed long-lost military secrets with the brand new Art of War collectible series! This new line of 3″ tall Dunny collectibles features designs from Frank Kozik, Kano, ilovedust, Huck Gee, Devious, Colus, Igor Ventura, Luihz Unreal, DrilOne, Sergio Mancini, Patricio Oliver, JPK, Sam Fout, and Shok1, each covering a unique aspect of mankind’s wartime history. This new set of cool new Dunny designs will be released on Friday, June 27th, and TOMODACHI will be carrying these vinyl figures at both our Rosedale Shopping Center location as well as our brand-new Mall of America location, along with our online store! On top of that, customers who purchase an entire case of Dunny Art of War figures will not only receive a limited-edition case-exclusive Art of War figure, but will also get a $25 goodie bag filled with lots of cool merchandise! Make sure to visit us and check out these brand new Dunny collectibles, and much more!